I hope to expand on these tasting notes soon. 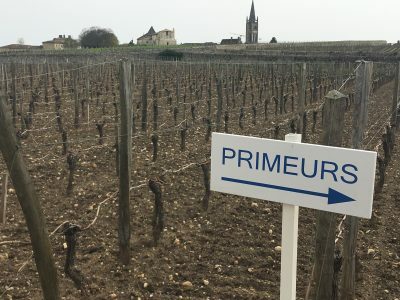 Despite several [costly] speeding tickets that later turned up in the post, I arrived fractionally too late to the UGCB event held at Château Talbot to taste a number of wines from the St Julien commune. These included some of my favourites Gloria, Gruaud-Larose and St Pierre as well as the Bartons [Léoville and Langoa]. 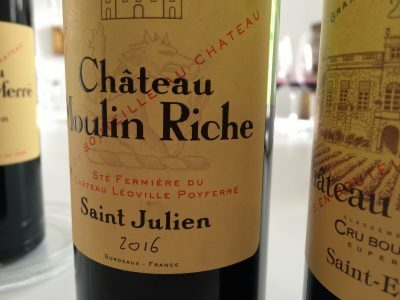 Below are the notes on the St Julien properties I did visit individually during primeurs week – Château Ducru-Beaucaillou, Château Léoville-Las-Cases and Château Léoville Poyferré. 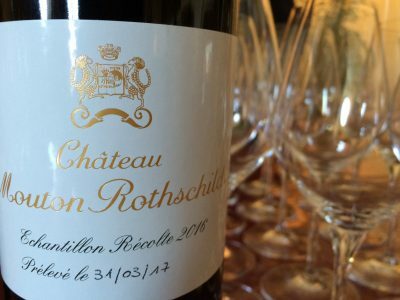 There are also notes on Château Moulin Riche, Château du Glana, Clos du Marquis and Lalande-Borie. Hopefully I’ll get the opportunity to correct the omissions here at a later point. 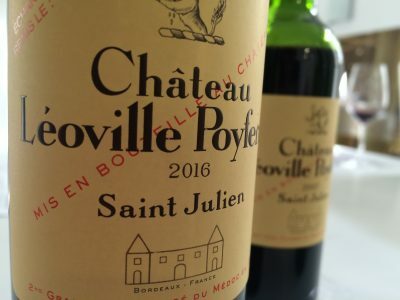 The consistency at Château Léoville Poyferré has been wonderful over the past decade. The property regularly vies with Château Léoville-Las-Cases and Château Ducru Beaucaillou as the best wine of the appellation. It is amongst the finest made in Bordeaux. Great wine has been produced here in 2016. I don’t think I’m pushing the boat out too far in suggesting that Léoville Poyferré 2016 is verging on the quality of the 2005, 2009 and 2010 qualitatively speaking. The balance is phenomenal; the texture remarkable. Château Moulin Riche, made from a separate 20 hectare terroir in St Julien, may well be the best yet produced. It is certainly the most impressive sample I’ve tasted. Overall it underlines the excitement I felt when I tasted the top St Juliens in this vintage earlier in the year. Day three was spent in the northern left bank, principally St Estèphe, Pauillac and St Julien. 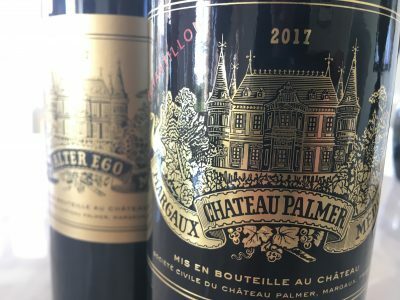 Having tasted many of the top estates I was left in no doubt that Bordeaux 2016 has produced some of the most remarkable wine since the 2009 and 2010 vintages. I’d even go as far as saying that I prefer this vintage at this stage. The aromatics are beautiful, the wines packed with fruit and extract, the acidity is as fresh as 2010 but the tannins are as succulent as in 2009. Importantly alcohols are more moderate [well under 14%] which makes for wines of exceptional balance. Château Calon-Ségur, Château Montrose and Château Cos d’Estournel have all made remarkable, deeply coloured St Estèphe. 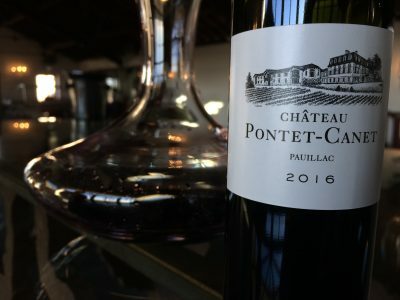 In Pauillac Château Mouton-Rothschild, Château Latour, Château Pontet-Canet and Château Lafite-Rothschild have made their most exciting wines since 2009. Leading St Julien’s Château Léoville-Poyferré, Château Léoville-Las-Cases and Château Ducru-Beaucaillou [in particular] in different ways, leave you speechless. At this level 2016 in the northern Haut-Médoc looks to be a breath-taking vintage that exhausts the superlatives.